Once very common around Beijing, the BJ class diesel-hydraulics were becoming increasingly rare by 2006. Pairs of the single ended version could still be found working passenger trains on the Beijing - Taiyuan line. 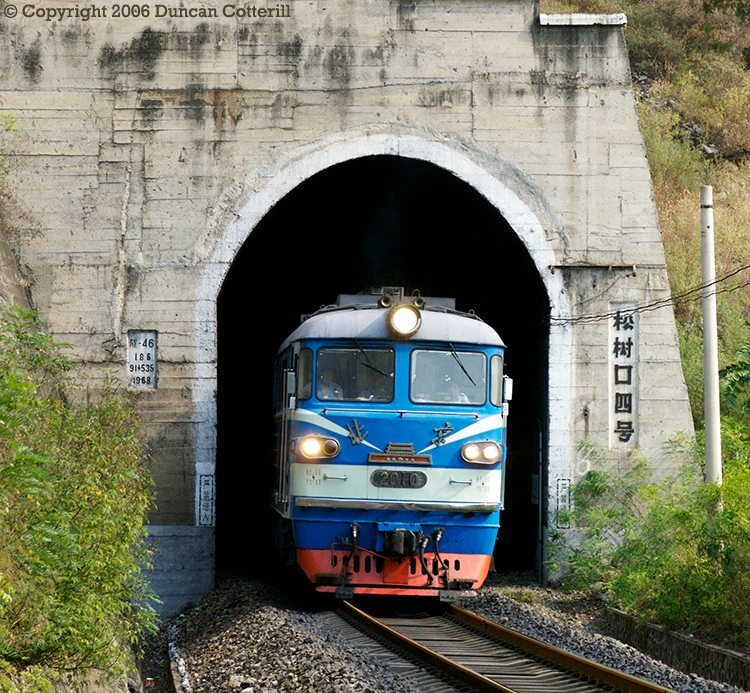 This picture shows BJ 2010 (with BJ 2005 behind) emerging from one of the many tunnels between Yesanpo and Gugezhuang with train 7095 on 30 September 2006. This working was regularly BJ hauled during my stay in the area.